In this registry workshop, learn steps to allow or prevent users to check for updates in Windows 10 Version 1703 or later. In Windows 10, by default, users can check for updates, download and install them. If you want to prevent users from doing these things, this article is for you. Well, the option to check for updates can be found at Settings app > Update & Security > Windows Update. 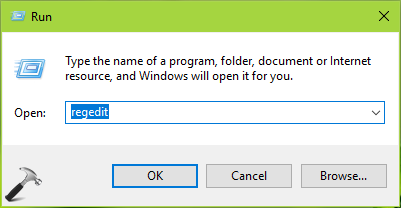 Once this option is clicked, Windows checks for available updates. If the updates are available, Windows automatically downloads and install them. There is no action further required from user side. In case if you’ve a special requirement of disabling check for updates option, you can use below mentioned registry manipulation. 4. Finally, set the Value data to 1 and click OK to prevent users from checking updates. Close Registry Editor and reboot to make changes effective. After restarting your system, you’ll find that option to check for updates is greyed out (refer below shown screenshot). To restore default behavior, that is to allow users to check for updates, you can simply delete SetDisableUXWUAccess registry DWORD. Group Policy Setting: If you want to prevent users from checking updates on multiple machines in your organization/workplace, you can deploy the relevant GPO setting(s). Configure Remove access to use all Windows Update features setting at Computer configuration > Administrative templates > Windows Components > Windows Update to Enabled. The GPO setting is available in Windows 10 Version 1703 or later.